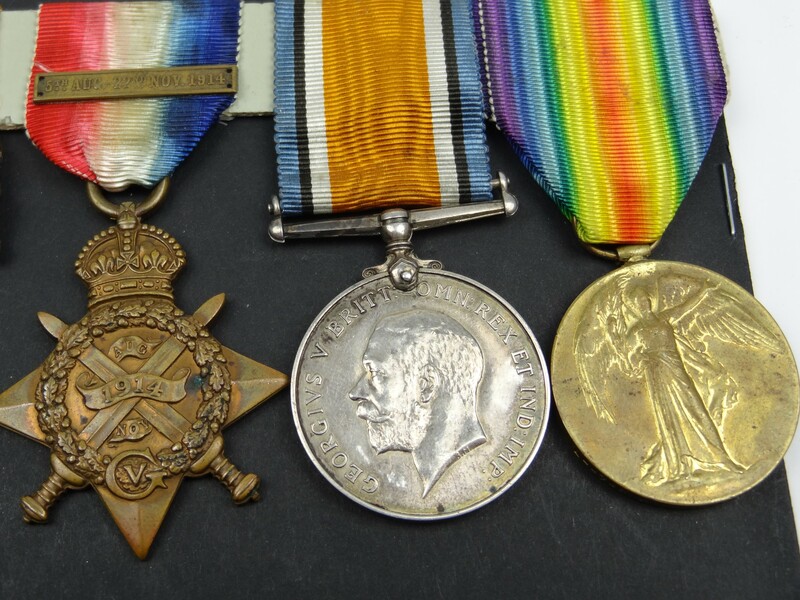 WWI : Q.S.A/K.S.A & 1914 STAR & BAR TRIO OF MEDALS TO PTE. 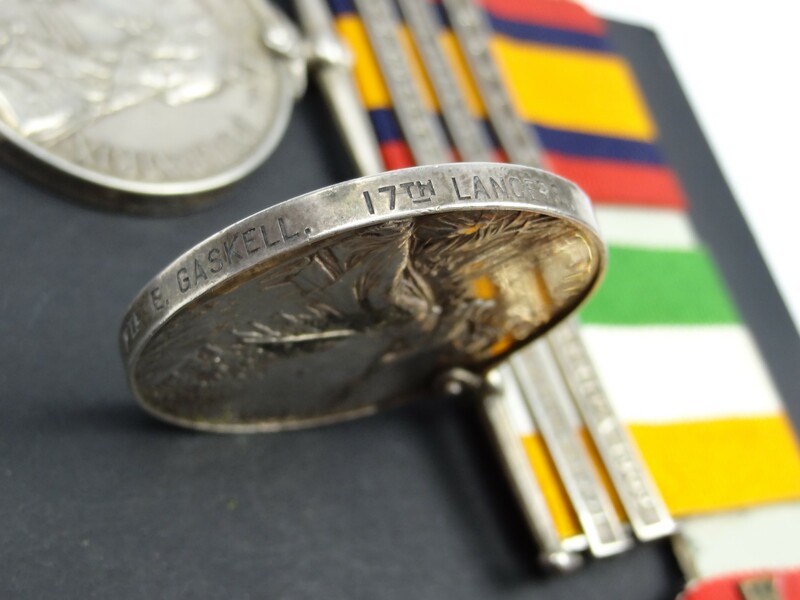 E. GASKELL, 16TH & 17TH LCRS. 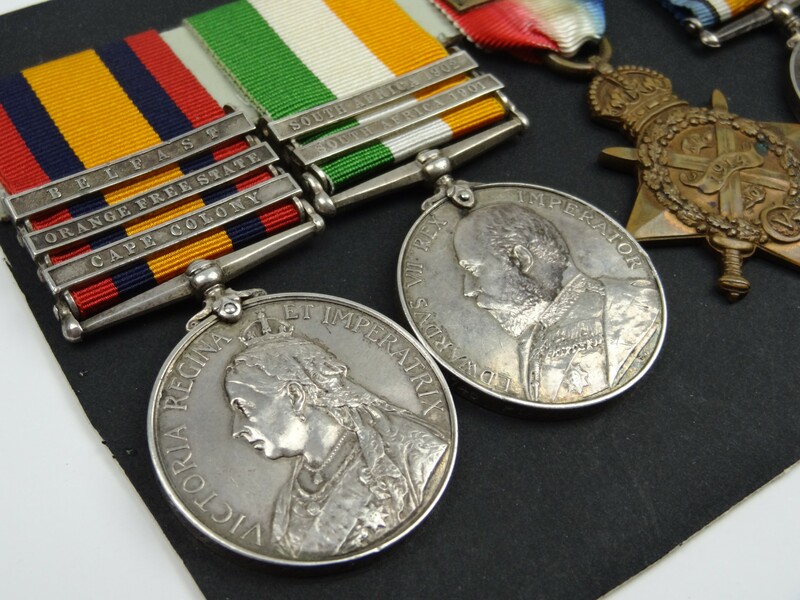 Queen's South Africa Medal with Cape Colony, Orange Free State & Belfast clasps to 4745 Pte. E. Gaskell, 17. Lcrs. 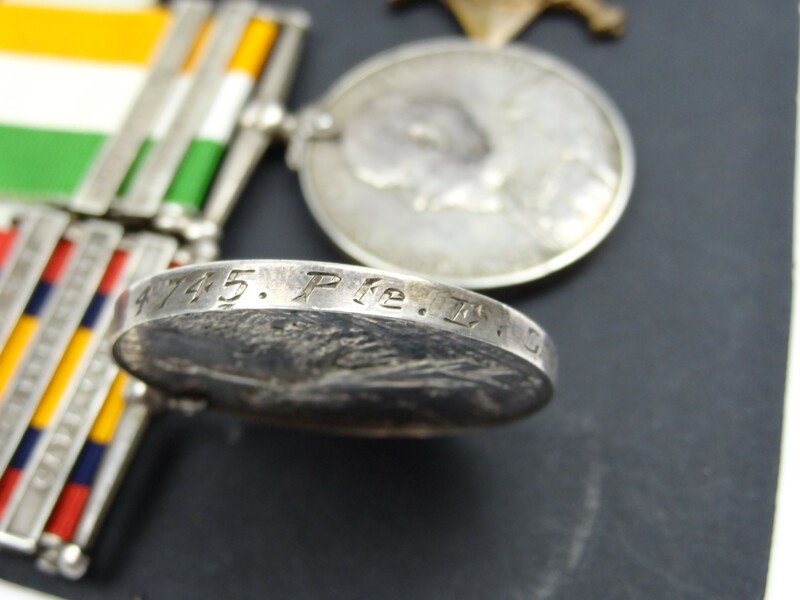 ; King's South Africa Medal with South Africa 1901 & 1902 clasps to 4745 Pte. 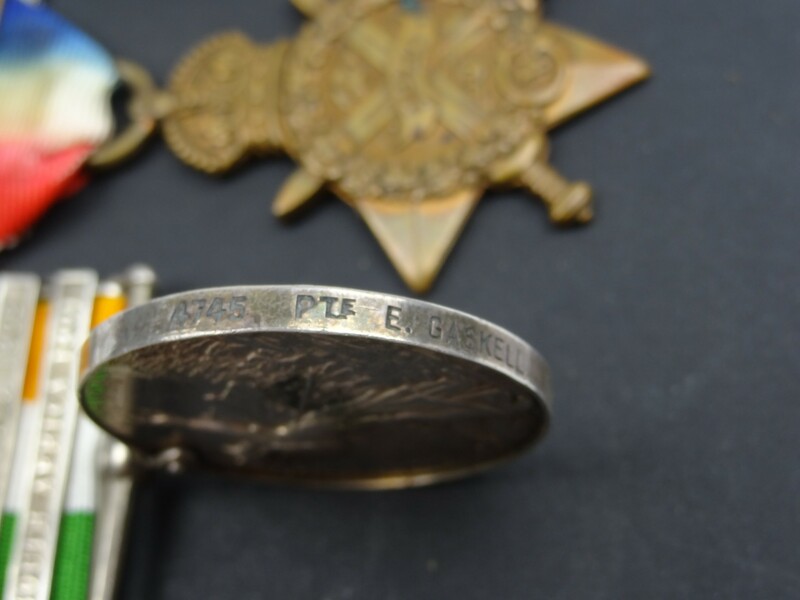 E. Gaskell, 17th Lancers; 1914 Star & Bar to 4745 Pte. 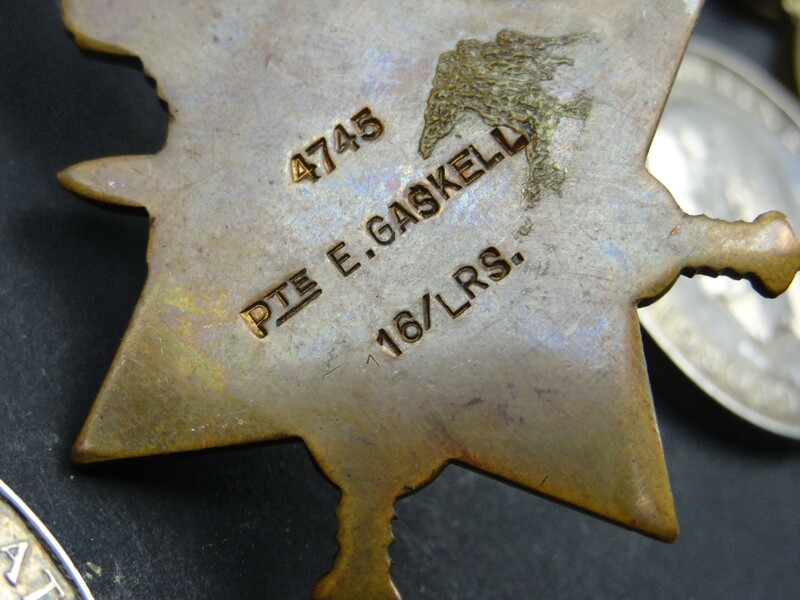 E. Gaskell, 16/Lrs. 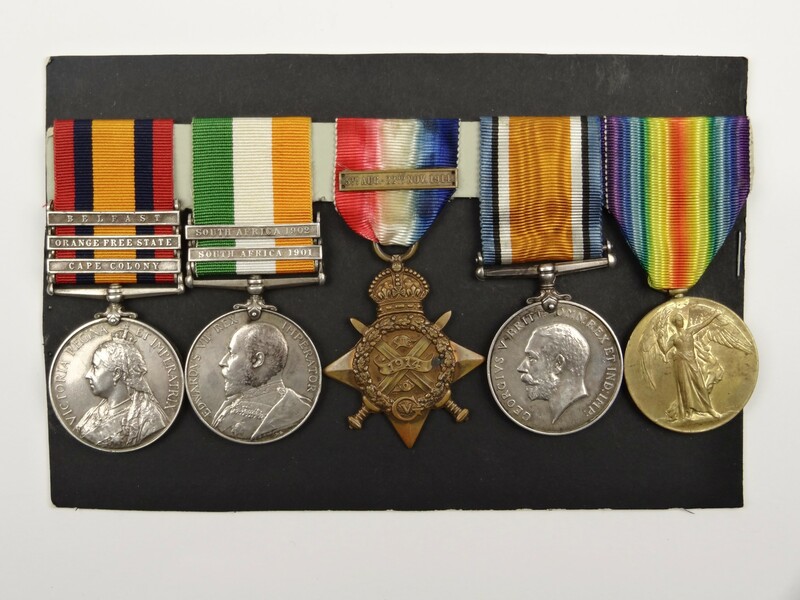 ; WWI War & Victory Medals to L-4745 Pte. 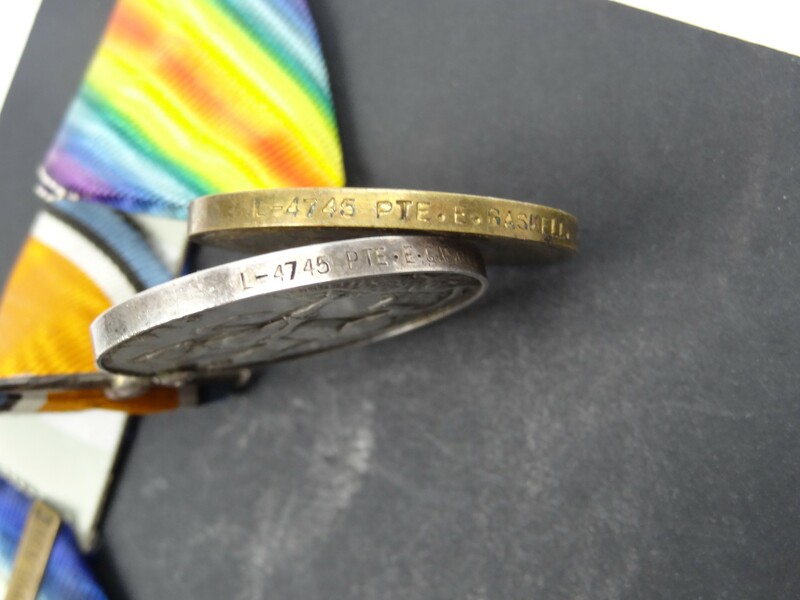 E. Gaskell, 16-Lrs. 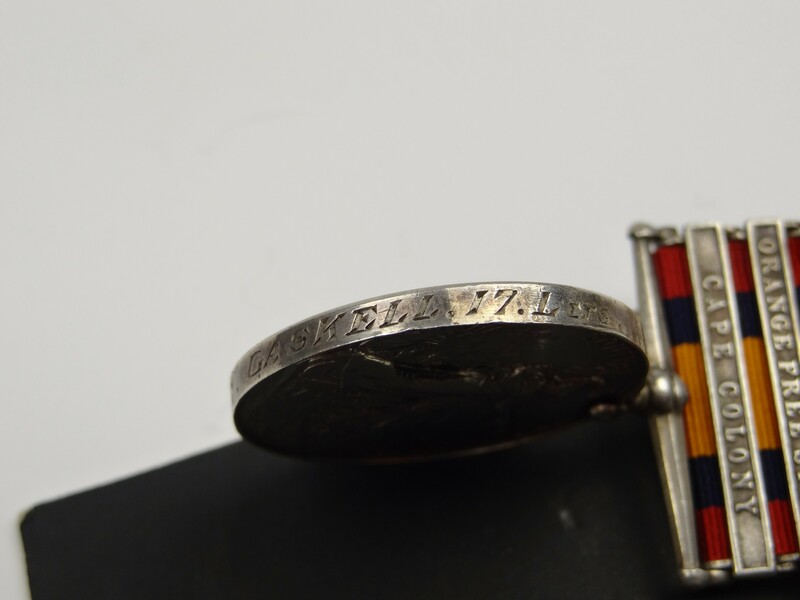 Enoch Gaskell served with the 17th (Duke of Cambridge's Own) Lancers in South Africa, entitled to the Cape Colony, Orange Free State and, unusually, the Belfast clasps to the Queen's South Africa Medal and both clasps to the King's South Africa Medal. 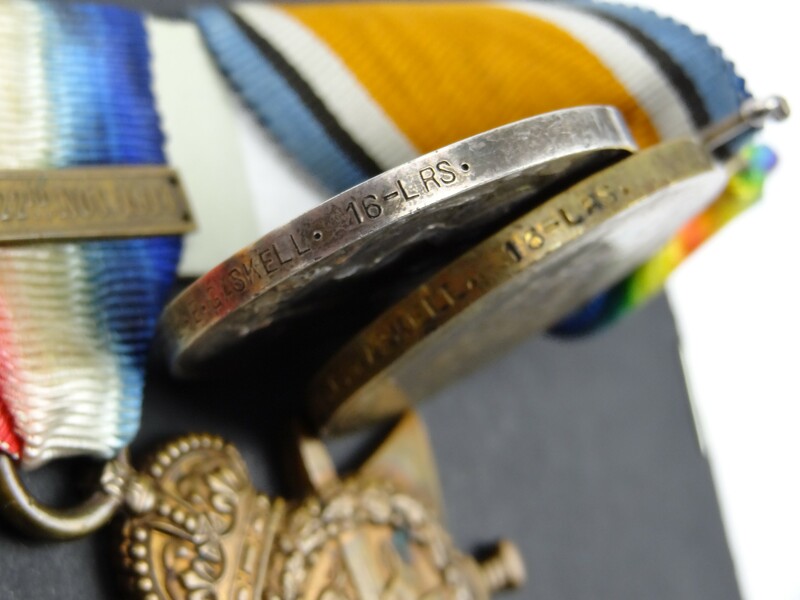 Serving with the 16th (The Queen's) Lancers on the outbreak of WWI, Gaskell's date of entry into action was on 13 Aug 1914, serving throughout with a regimental renumbering of L/13257 with the Corps of Lancers until eventual discharge on 27 Feb 1919.